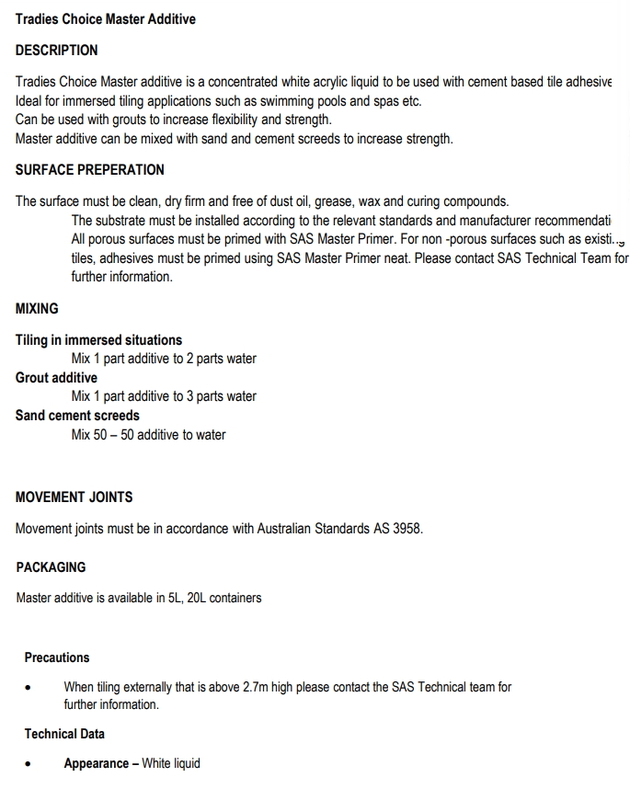 It is $45 per unit [not per sqm]. 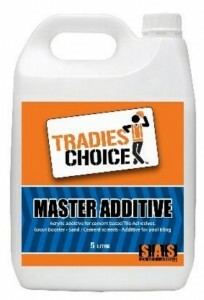 A concentrated white acrylic liquid to be used with cement based tile adhesive. 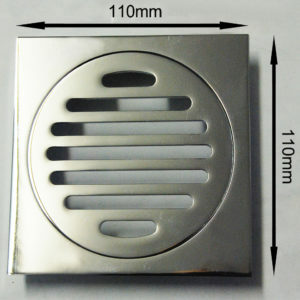 Ideal for immersed tiling applications such as swimming pools and spas etc. 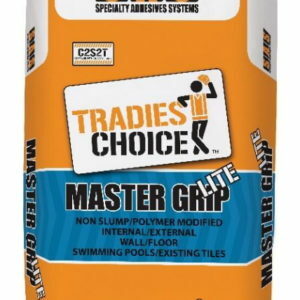 Can be used with grout to increase flexibility and strength. 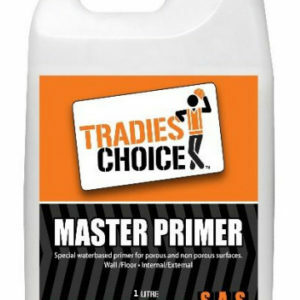 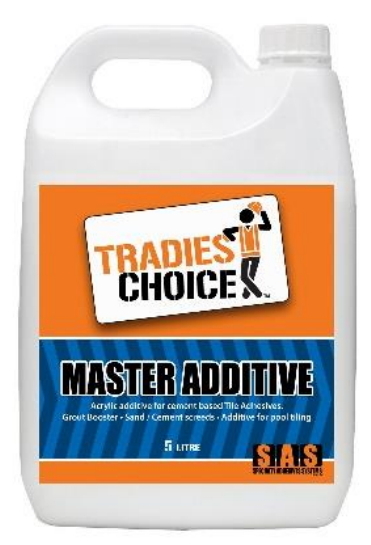 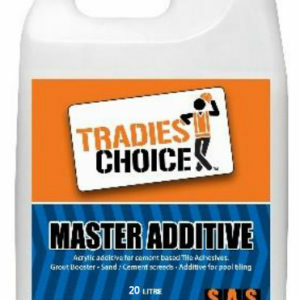 Can be mixed with sand and cement screeds to increase strength.